Botox and other botulinum toxins, or really all drugs, have storage conditions specified on their packaging. This is to ensure when you do use the product it is potent and safe, having the effect you expect. The problem is, things do not always go as planned. Maybe you mixed up a solution only to have a no-show patient. Maybe you stocked up a little too much for a volume discount. Maybe one of your busy nurses left a box on the counter or your refrigerator quit over the weekend. Maybe your courier left a box on your doorstep in a heat wave. In these situations, you may find yourself throwing away hundreds of dollars worth of botulinum toxin. What a huge waste! The good news is, research suggests the manufacturer's storage recommendations may be far too conservative. A few studies have looked into the effectiveness of different brands of botulinum toxins and found they are viable long past the times recommended by the manufacturers. Knowing this can save your clinic money, reducing product waste and allowing you to take advantage of sales and volume discounts when purchasing your medical supplies. Botox is the most popular cosmetic injectable in the U.S. and around the world. Clients ask for it by name, but this popular drug is not cheap. Especially for smaller clinics with low volume, even one vial of wasted Botox can be a blow to the bottom line. According to Allergan, its manufacturer, you should always keep Botox in the refrigerator, at 2° C to 8° C, or in the freezer, below 5° C. With a 36-month shelf life from its manufacturing date, this seems simple enough. However, when errors occur, you may be wondering if there is a way to avoid wasting these expensive vials. Thankfully, studies have looked into what happens to Botox when it is exposed to storage conditions outside the normal range. Allergan itself has confirmed you can use Botox after five days at room temperature, something they fail to mention in their product packaging. Not only that, the product may remain stable even in extreme shipping conditions. When study authors L. Parraga et al. referenced available product information and spoke to manufacturers directly, they found out the botulinum toxin remains stable for 14 days at 25° C and 7 days at 30° C. If your package sits at the reception desk overnight, or your refrigerator quits on a long weekend, there is no need to dispose of your Botox. It seems it will be just fine. Not only does unopened Botox remain stable longer than expected, and at more extreme temperatures, studies suggest reconstituted botulinum toxin is still usable much longer than you may think. According to Allergan's product information, after you add saline to create a solution, you should ideally use it immediately. Failing that, they say you can store the Botox up to 24 hours in the refrigerator. This is fine if your patient comes in as expected, but what happens if you have a no-show, some scheduling difficulties, or other setbacks? 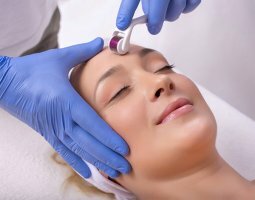 While you may have been proactive reactivating your botulinum toxin in advance, it just may go to waste. Not good for a lower-volume clinic especially. Luckily, studies suggest you can still use your reconstituted Botox days or even weeks later, with the same initial effectiveness and duration. Researchers compared the effectiveness of fresh Botox versus solutions that were two hours, six days, and one through four weeks old. For their comparison, the researchers ensured each volunteer received an injection of the fresh solution in one and an injection of an older solution in the other foot's extensor digitorum brevis muscle. Not only was the two-hour-old solution just as effective as the fresh solution, even the four-week old solution still had statistically similar results. No matter the age, all solutions were equally effective at relaxing the treated muscle, and the effects lasted just as long. Other researchers found similar results using older Botox solutions on glabellar lines. When they compared freshly-prepared solution to solution that was up to 43 days old, they found all solutions had similar effectiveness and lasted just as long. So much for throwing out your 24-hour-old Botox solution, go ahead and keep it for four to six weeks. This could reduce waste in your clinic, helping you stretch your Botox budget much further. Medica Depot carries a huge selection of all your favorite medical injectable brands with wholesale volume discounts. To order Allergan's Juvederm Volift and other medical injectables, visit MedicaDepot.com today. How To Store Dysport, Bocouture, Azzalure and Myobloc?